Recently I was contacted by a TV-journalist with a few questions that she had received from young people, mostly around the age of 18 to 20 years, worried about their own ageing and old age. I was supposed to answer each of those questions in not more than 25 seconds of speak-time on screen. So, I first wrote my answers in as much brevity as I could, and then we did some editing and the recording. Here I would like to share my original full answers to the questions of the youth in Denmark. Can I affect how I age? Yes and no – how we will age starts getting affected right from the inside of our mother’s womb; how healthy was she, how happy was she, what kind of food and nutrition was she having and so on. 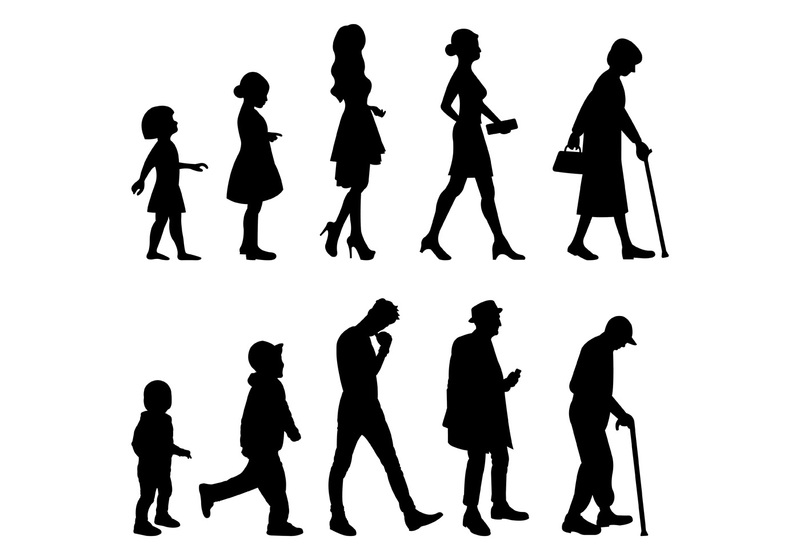 Then some of our earlier life events – for example, what kind of diseases we had in the childhood, what kind of food and social conditions we had also affect how we will age later on. So, these factors cannot be changed later on. But what we can do, specially from the age of 15 onwards, is in terms of our food habits, our physical activity habits, our sleeping habits, and our social habits, which definitely affect how our old age will be. Can I keep old age at distance with botox and extra hair? No, but you can cover up some of the symptoms associated with old age by such cosmetic procedures including botox injections, hair colouring, extra hair, fillers in the lips, and uplifting breasts and bottoms etc. But don’t think that you are keeping ageing away – that is happening inside the body at all levels, and it is not that easy to work on that yet. Wrinkles, thinning of hair, greying of hair, some loss of firmness in the breasts and buttocks are not any biological diseases that need to be treated. But yes, for some of us, these are important social diseases, and if we really feel the need of doing this “make up” to cover up some signs, that is OK to do. But it is also important to remember that when we inject things like botox in our bodies, where these things can affect muscle functioning and also these things can go into the blood circulation, these can affect negatively over a longer period. So, be cautious on the use of such things. Otherwise, if any external use of things makes us feel happy, confident and up-lifted, that is OK – as long as we know that it is only temporary. Can it harm my ageing process by changing my looks? No and yes: a superficial use of cosmetics, creams, colours, paddings etc does not do anything bad to ageing or to life, but nor does it do anything good either. This is because most of the things in cosmetics do not enter the deeper layers of the skin or get into the blood, and so they do not do anything good or bad. At best, the cosmetics help to moisturize the skin and give a feeling of smoothness and silkiness. Cosmetics do not make us 10 years younger in 10 minutes, as they sometimes claim in the advertisements. But if their use make us happy, even temporarily, that is OK and sometimes quite important. But once you start injecting things in the skin, like botox, hyaluronic acid fillers and other things, then it can mess up the general physiology and functioning of the skin, which can have long term bad and serious effects. So, be cautious on the use of such things. Will exercise keep me young for a longer period? Yes, but it depends. All kind of exercise is health beneficial unless we become obsessed with it and take it to an extreme. Professional and highly competitive athletes and sports-persons often pay a huge price in overall health later in life. Whether exercise can keep us young for a longer time depends on what we mean by being “young”. Moderate and repeated exercise will definitely maintain and improve health at all ages. But doing it too much for building huge muscles or run faster and faster, will surely use body’s resources in an unbalanced way. One of the most common effects of too much exercise is the reduced reproductive ability. It may or may not affect our love life, but it surely affects our ability to produce kids. What happens with my body when I go from being young to being adult? First of all, becoming adult from an adolescent state is not the same as undergoing ageing or becoming old. Becoming adult is actually the peak of achieving youthfulness. From the age of 12 onwards when we enter a state of puberty and sexual maturity, lots of things happen in our body and mind. In the body there is almost a revolution about hormones going up and down; these changes affect the growth of muscles and bones and all parts of the reproductive system. At the brain level there is another revolution in terms of mood affecting chemicals and neurotransmitters etc. All these changes are actually the good changes from the point of view of evolution in the sense that they prepare our bodies for its main function – reproduction. We should be very happy about becoming adult from a state of being a child – an adult is the top of being young. Am I ageing faster if I get wrinkles and thinner hair already in my 20s? No. There are no scientific data to show that early appearance of wrinkles and thinning of hair are signs of ageing starting early. Although these are the common signs in old age, but their appearance can happen at any age. There are so many factors that can cause it – too much sun-bathing, too much exercise, food and nutritional imbalance, too much exposure to natural and man-made pollutants including smoking, hormonal swings in the body, physical and mental stress and, very importantly, our own self perception that we think that we look old. But there is no scientific data to show that such early appearance of some superficial signs of old age are signs of real ageing process happening fast, or decreasing our lifespan. Will I lose my hair just like my father did or will I get the deep worry-wrinkles as my mother has? Mostly no, but a little bit of yes. There can be some genetic factors which run in the families, and the loss of hair or greying of hair can have some genetic association. But overall, ageing is mostly due to our own life-style and our own gene-combinations of what keeps us healthy most of the time. There are no genes which make us old – gerontogenes do not exist. Genes are there to keep us alive and healthy as much as possible, and our lifestyle in terms of food, physical activity and mental and social engagement really affect how our good genes do their job. Our lives are mostly our own responsibility, and we can really make big changes about how we want to live and how we want to become old. If we avoid doing the same wrong things which our parents did, we can be sure that we will not have the same end-results. We are not at the mercy of our genes only, and especially when there are no evil-genes in our bodies. Should I as a young person worry about ageing and old age? No, we should not worry, but we should surely think about our old age and get prepared for that with a great sense of achievement and success. We worry about ageing and old age because we do not see anything good about it physically and socially. Of course, physically there is nothing much to look forward to in old age. Almost everything is downhill, and the future of the body is not very good. In that case scientists are working hard to make better medicines, drugs, food combinations, and other helping technology to make our old age less worrying. But more important is the social fear of old age that makes us worry about it. In earlier times, very few people reached to very old ages, and so they were also more accepted, admired and valued in society. Now due to the great successes of science, technology and social developments, almost all of us expect to live long and so become old. But instead of considering old age as a great success story and achievement, we are terrified of old age. The main reason is that we do not value old age any more in terms of its experience, wisdom, empathy, tolerance and all other similar social values. We consider old age as a burden, because we measure everything in terms of money money money. So, if we cannot bring social changes in the sense of what we value in life, then yes, we should worry about old age; but if we can accept, respect, involve, admire what old can give us, then we will be looking forward to becoming old gracefully, happily and satisfied with ourselves. Can you tell me when I am “old”? Yes, I can tell you when you are old; and it depends on what do you mean by “old”. If you think being old means all those negative things – being a burden, being ugly, being slow, being weak, being sick, being rigid and uncompromising, being a pain in the neck for others, then whenever you feel any of those things for yourself, or whenever someone else makes you feel any of those things, then you are old in that terrible frightening image of old age. But if you think that being old means being experienced, being wise, being trustworthy, being empathetic, being tolerant, being free, being self-satisfied, being original, being loving, then you will be proud of feeling old. And if we are thinking about a number in our life, then biologically we enter old age the day we celebrate our 45th birthday. This is because evolution has made our species Homo sapiens to live for about 45 years so that the species can grow, mature and reproduce to continue the next generations. Since now most of us can expect to live almost double than our naturally required essential lifespan of our species, we also experience old age. We can then further subdivide old age into early old age, or middle age, or whatever else kind of age for reasons of how we want to feel, biologically the fact is that we are old from 45 onwards.